Challenging the Westphalian view of international relations, which focuses on the sovereignty of states and the inevitable potential for conflict, the authors from the Borderlands Study Group reconceive borders as capillaries enabling the flow of material, cultural, and social benefits through local communities, nation-states, and entire regions. By emphasizing local agency and regional interdependencies, this metaphor reconfigures current narratives about the China India border and opens a new perspective on the long history of the Silk Roads, the modern BCIM Initiative, and dam construction along the Nu River in China and the Teesta River in India. Together, the authors show that positive interaction among people on both sides of a border generates larger, cross-border communities, which can pressure for cooperation and development. India China offers the hope that people divided by arbitrary geo-political boundaries can circumvent race, gender, class, religion, and other social barriers, to form more inclusive institutions and forms of governance. L. H. M. Ling is Professor of International Affairs at The New School in New York, USA. Adriana Erthal Abdenur is a Fellow with the Igarapé Institute, in Rio de Janeiro, and a Productivity Scholar with the Brazilian National Council for Technological and Scientific Development (CNPq). Payal Banerjee is an Associate Professor with the Department of Sociology at Smith College in Northampton, MA. Nimmi Kurian is an Associate Professor at the Centre for Policy Research (CPR) in New Delhi, India, and India Representative, India China Institute, The New School, New York. Mahendra P. Lama is a Professor in the School of International Studies at Jawarhalal Nehru University (JNU) in New Delhi, India. Li Bo is a part-time consultant for environmental grant-making in China and chief editor of the Green Cover Book: Annual Review of China’s Environment, a Chinese publication. At the same time, he runs a small organic farm by Lake Huron in Canada. 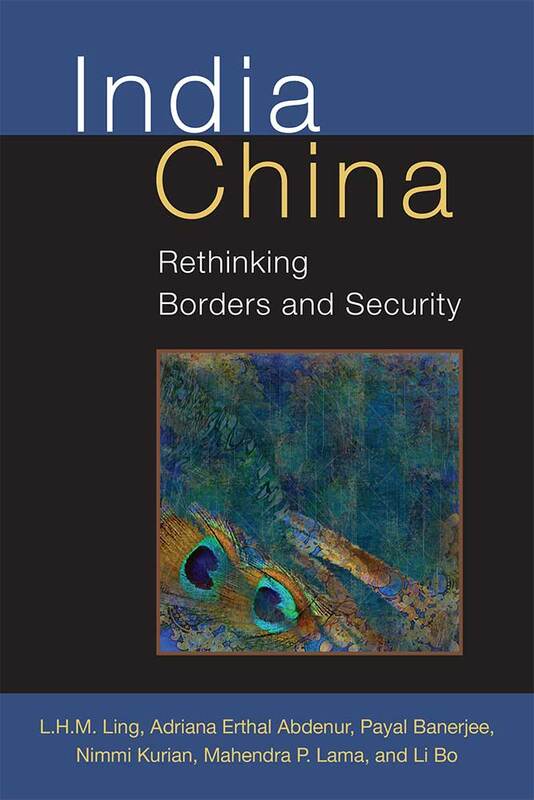 "This book is recommended to the specialist and lay public alike in the era of rising masculine, muscular nationalism in both China and India...If the advice offered by this volume is taken seriously by the policymakers in New Delhi and Beijing the border between China and India might become a zone of regional and cultural exchange between the communities on both sides of the border." 7 maps, 1 figure, 3 tables.